As we travel to more and more places we realize both similarities and differences that surprise us. And we also realize all the different reasons that can make us fall for a place. Like there are those kind of cities that are fully packed with world famous sights, large museums, enormous castles and cathedrals where we usually find places we love even if we don’t like the city as a whole as much. But in many cases we are blown away by the full pack – yeah, New York, San Francisco, Barcelona, Vienna, Prague… These kind of cities are easy to find because they are famous anyway. But there’s another type of city we could love very much. This type is not well-known, not so big and there’s no list of must-sees for it. But there’s something about it that we can’t help but love it from the first moment. Well, this type is not so easy to find. But when we find one we don’t forget it easily. Zadar falls into this category. Zadar is a harbour located in the Northern Dalmatian region of Croatia. It’s the largest city in its region and the fifth largest in Croatia. Still it’s not very well-known and not nearly as touristy as Dubrovnik. 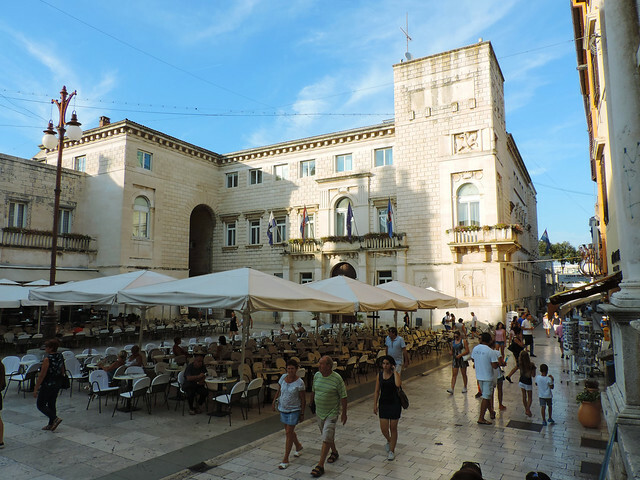 It was our first stop while driving along Croatia’s Dalmatian coast and the first thing we did was an evening stroll through the Old Town after we arrived. 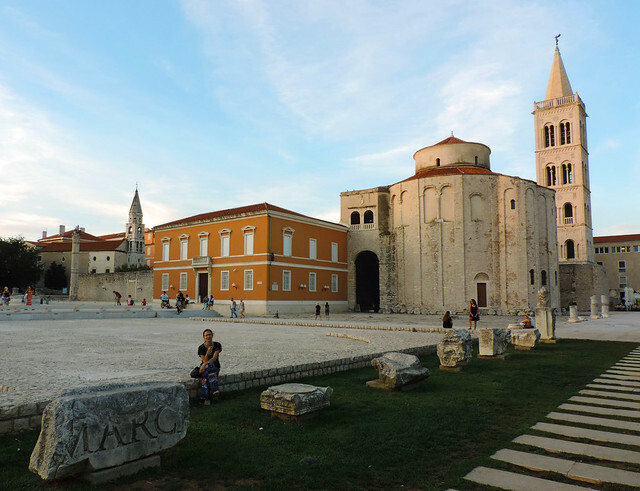 Zadar’s Old Town is located on a small peninsula and it’s full of charming cobblestone streets, Roman and Venetian ruins, cute cafes and restaurants. Strolling through the lovely streets with a huge ice-cream in hand was our favorite activity. Some of the most famous sights are the Roman Forum founded by the first Roman Emperor Augustus, the pre-Romanesque Church of St. Donatus from the 9th century and the Romanesque St. Anastasia’s Cathedral from the 12th-13th century that’s the largest cathedral in Dalmatia. We also enjoyed watching the sunset while walking on the waterfront in the Old Town. But the very best place to see it is at the Sea Organ where a lot of people gather around every day for watching the sunset while listening to the music of the waves. Literally, because the energy of the waves make the sounds of the Sea Organ. After the sun goes down it’s time for the Sun Salutation to start its light show that lasts from sunset to sunrise. The Sun Salutation consists of hundreds of multilayered glass plates that collect the sun’s energy during the day. 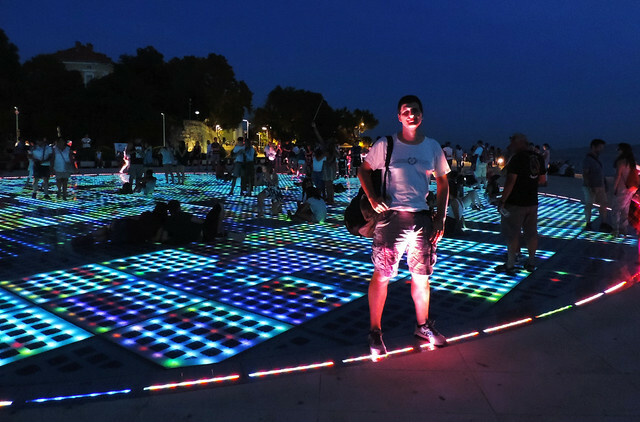 It’s a unique piece of art and a busy meeting hub for both tourists and locals in Zadar. The only thing Zadar doesn’t have is a nice beach. There is a beach in the Old Town but that’s made of concrete and you need to take the stairs into the water. Of course, the water is very deep there so it’s definitely not for small children or for people who can’t swim well. Luckily if you get out of Zadar there are plenty of options to choose from. We drove to Nin that’s just a 20 minutes drive from Zadar. 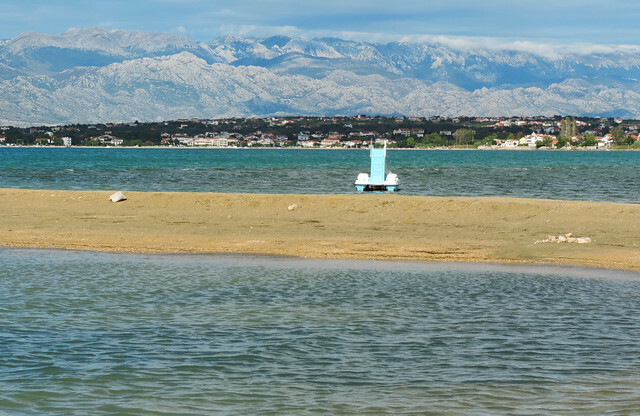 Nin Beach is a nice sandy beach with shallow water and with views of the Velebit mountain range in the background. The town of Nin has an Old Town, too. If the peninsula of Zadar’s Old Town is small then the one where Nin’s Old Town is located is teeny-tiny. Actually, it’s an inlet only 500 meters in diameter. But it’s so lovely, it’s definitely worth a walk. Zadar is a busy harbour and a key transport hub. Staying there gives you the opportunity not only to explore the city itself but also to explore all the amazing places nearby, including the islands. Croatia has an incredible amount of beautiful islands and they all have their unique wonders. We booked a full day boat trip to Kornati Islands National Park in the harbour of Zadar and it was a fantastic experience – read more details about the trip here! 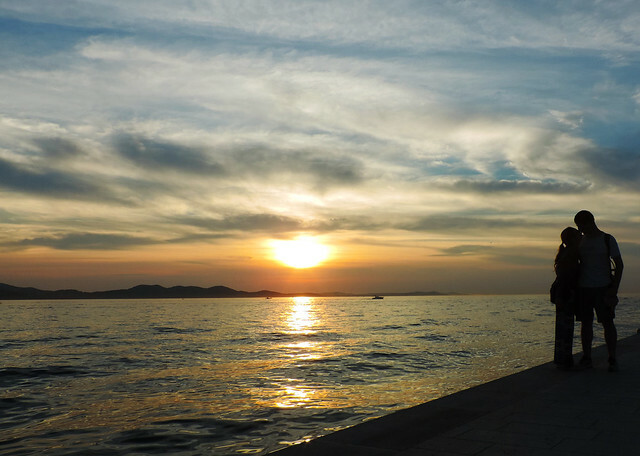 Zadar is connected to most of the nearby islands with ferry but half-day and full-day excursions are also organized by a lot of local tour companies in the summer season. Kornati Islands and Saharun Beach on the island of Dugi Otok are quite popular. Pag Island is also close to Zadar and it’s connected to the mainland by bridge. 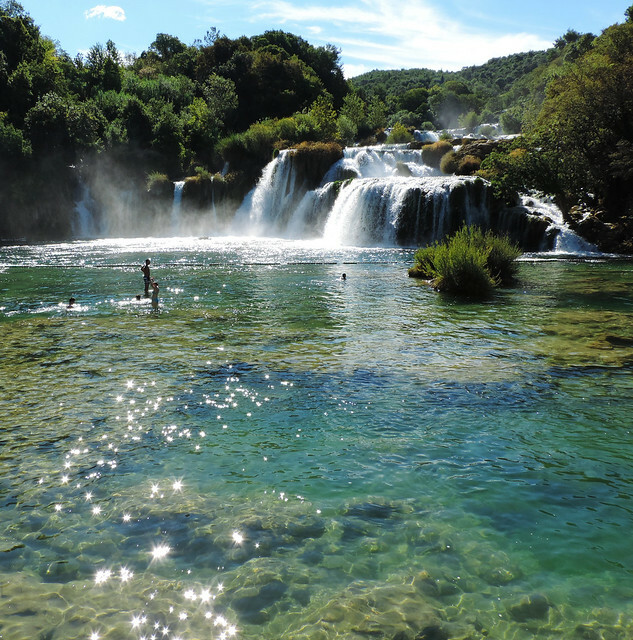 Excursions are organized to Krka and Plitvice National Parks and to the city of Šibenik as well. We also had a day trip to Krka and explored several parts of this amazing waterfall wonderland. We used our own car to get there but if you don’t have one, you can search for local buses or join a group excursion. 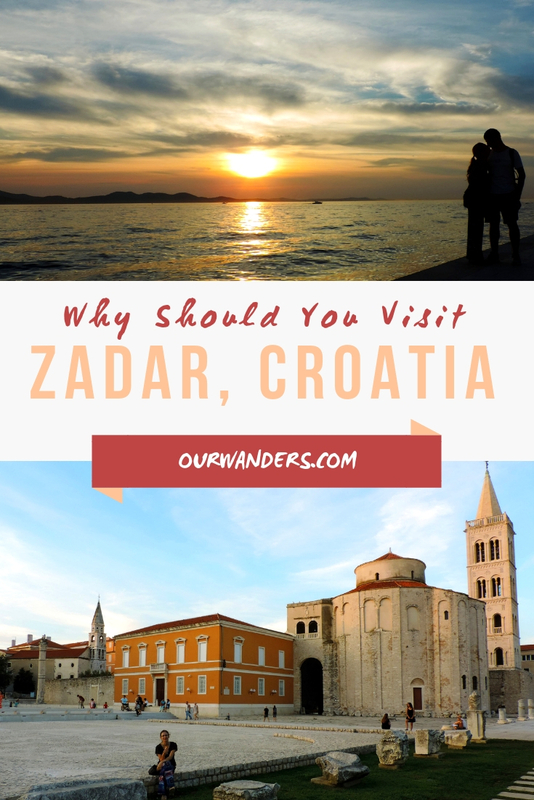 All in all, Zadar is such a loveable coastal city and it’s a perfect base to venture out to the nearby national parks and towns and to explore the pretty islands of the Mediterranean Sea. 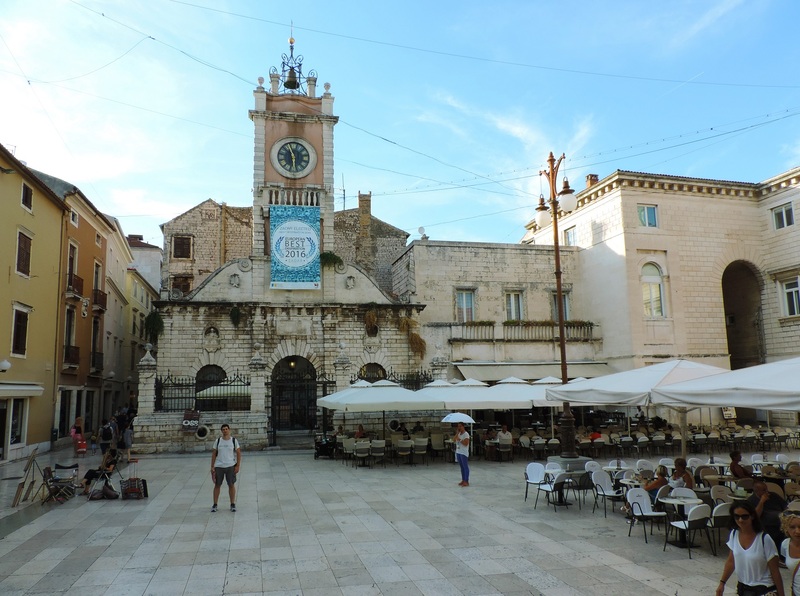 We spent 3 days there as we walked around in the Old Town, had some beach time and two day trips – to Kornati and Krka. It was wonderful but it was not enough. 🙂 Zadar is a place we would happily return to. Which cities do you love very much that are not so well-known?